Spring cleaning and a book recommendation! ‘Tis the season to clean, donate and organize your home. I’ve been spending any spare time on the weekends trying to organize, not only my life (haha) but also my abode. As I’ve mentioned my house is small (it’s just the kids and I) so small home = small closets. 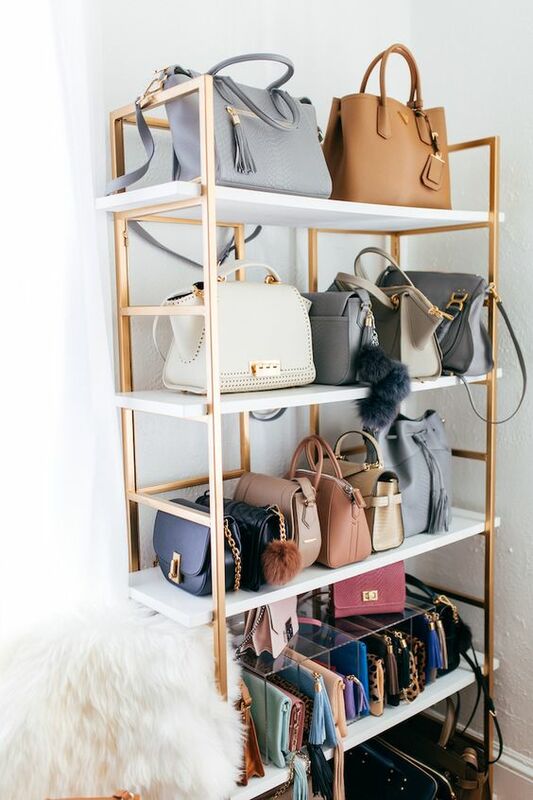 I dream of having a large walk in closet again someday. Every Spring I find it helpful and actually calming to get rid of things I don’t wear or use. I de-clutter and re organize. In some cases I need to actually organize the area, like my linen closet, for example. This brings me to my next point, I found it helpful to read a book from a pro on the matter. Some people have organizing down to a science, so I was thrilled to receive a copy of Jane Stoller’s book: Organizing For Your Lifestyle. 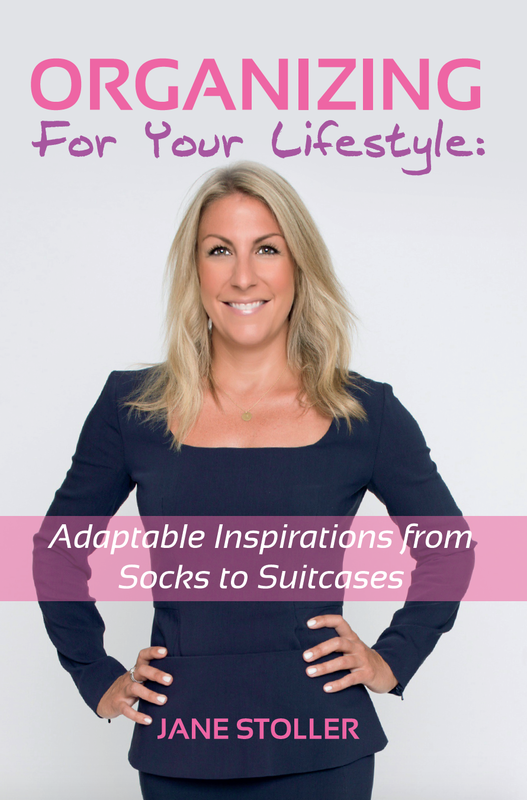 Jane’s book is a fun, well thought out guide to organizing all aspects of your life from your socks to your suitcase. A well organized life can truly transform your state of mind, stress and success level! I’m personally very organized with some things and not so much with others. I’m excited to set the inspiration I gained after reading Jane Stoller’s book into action. I started with my coat closet last weekend and I’m moving onto my bedroom closet and linen closet this weekend. Next up: will be my bills and basement! Organizing For Your Lifestyle is arranged into common themes to help you organize your home. From the kitchen to the bathroom, Stoller shares ideas, advice and inspiration to help you lead a happier and healthier life. There’s also a special chapter for travel because packing properly for a once-in-a-lifetime trip will make it much more enjoyable!! Purchase the book here. 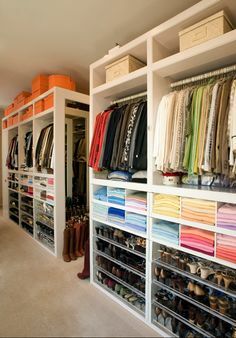 Yes, I could keep this bedroom closet organized by color very easily!! I have changed over to mostly felt hangers, everything actually stays in place on them! Love how Gen organized her jewels! I only really wear what I can see! MY DREAM BEDROOM LOOKS LIKE THIS, PAPER, SHOE COLLECTION AND ALL!!!! 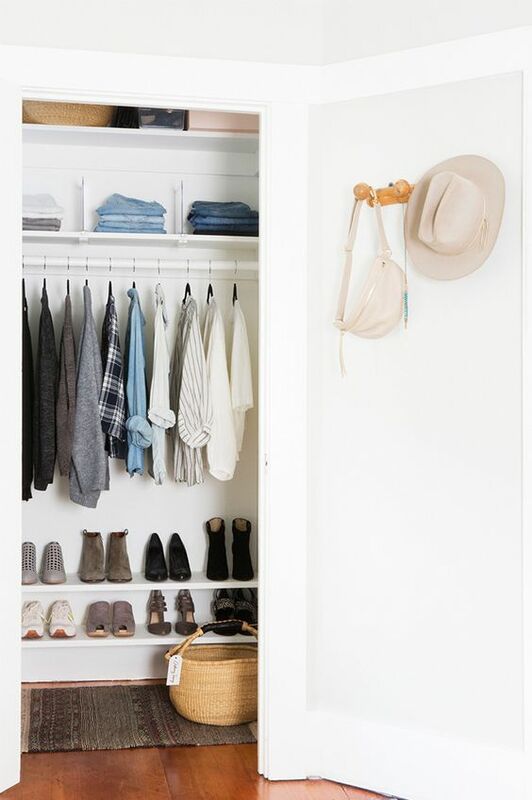 I need to purge my small closet after looking at this image!! Hola, I’m keeping things short and sweet around here today! I snuck in a “chill” yoga class with my friend Tammi this am! I need to do that more often. I’m feeling relaxed and colorful today. Here is what is on my radar this week. Happy Friyay! 1. It’s sweater and fair isle season. I would wear this Boden version in a smaller size with skinny jeans and great flat boots. 2. I was sorry to miss Eddie’s book signing last night at Hudson. I had a birthday dinner so I could not make it! 3. Ahhh, yes! Or at least throw the room off with something unexpected! 4. I wear glasses to drive. In fact my night vision seems to be getting worse. eek. I need a new pair of glasses and am going to try the free at home trial with Warby Parker. The prices are right and I would rather not feel rushed at a store. I am kinda liking the Baxter and the Jennings. Heavy glasses over power my face, these feel a bit lighter. 5. + 6. Okay so I am slightly obsessed with team Gen + Ben’s style. Their colorful and graphic designs really resonate with me. Check out the duo’s amazingly creative firm here and their home feature on One King’s Lane here. ONE WORD: GAH!! Erin Gates, Elements of Style – Book release party!! Today, I am BEYOND excited to share my dear friend Erin Gate’s fabulous new interior design book, Elements of Style: Designing a Home & a Life, from Simon & Schuster. The book was released on 10.7.2014 and is available to purchase here. Erin and I go way back. We met at our first design job in Boston, that was over ten years ago and we have been friends ever since! Over the years Erin has built a wildly successful design blog, business. and now has released her first book. Elements of Style : Designing a Home and a Life, beautifully mixes cohesive designs, practical advice and her witty voice/stories. The looks are attainable and fabulous. Each one layered with amazing details and the perfect amount of glamour. Erin also chronicles her own home renovation which you can also read about on her blog. I highly suggest this book for yourself and as a gift for the upcoming holidays. Trust me when I say you’ll gobble up every bit of it!! Last night I had the pleasure of attending the book release party at West Elm in Boston. Here’s a peek inside Erin’s book and some photographs from the event! Enjoy! Images 1 & 2: Elements of Style, shares both fashion and interior design tips and advice! Erin signed over three hundred books for her friends and loyal fans! A picture of Erin and I! A signature Cocktail was served – Yum! Chive of Beverly, catered the event. This image is from left to right architect, Derek Bloom , Laura Burned of LB custom projects, my boyfriend, Matty. Also, I wanted to congratulate the following on their part in the book: Amazing job! I must confess, I am a bit of a design book junkie. The more design details and images the better! I was thrilled to receive an advanced copy of designer Markham Robert’s: Decorating the way I see it by The Vendome Press. I’ll be displaying my edition with the cover off. How chic is the python cover? Markham has the ability to beautifully layer both modern and contemporary styles. The book is uniformly laid out using the step by step interior design process. Beginning with the floor plan, and each subsequent step: background, scheme, furniture, collecting, art, custom designs and finally discusses the importance of the interrelationship between the interior and exterior design of a home. Below I’ve shared a peek of some of the beautiful interior images. Purchase the book here. Enjoy! I hope you have some time to enjoy a good read this weekend! image via La Dolce Vita blog. Wait how is it October already?? This was such an easy choice! It doesn’t get much chicer then a Miles Redd interior! I’d be over the moon if a new client asked to use his work as an inspirational starting point! Lacquer – check, Color – check, Graphics – check, Layered – Check, Glamorous – double check!! I could keep going but I won’t. His book aptly titled “The Big Book of Chic” goes on sale in November. I’m getting on this pre-order list asap. You can do the same right here. This shot is so fabulous! !